A visioning exercise designed to discuss, analyze and develop alternative growth scenarios for our region through the year 2060. 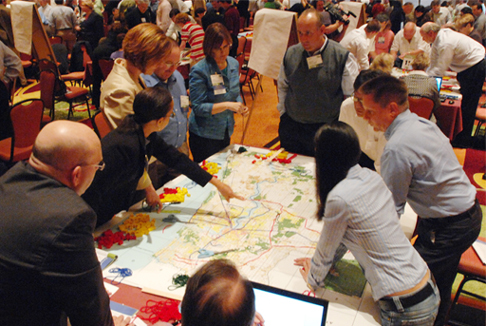 On May 21, 2009, Reality Check First Coast brought nearly 300 leaders from the public, private and nonprofit sectors together in groups of eight to 10 to discuss, analyze and develop alternative growth scenarios for our region. The exercise is designed to raise awareness of projected levels of region-wide growth and to lay the foundation for the development of a concrete list of next steps to meet the region’s future job, housing, transportation, infrastructure and recreation needs. Region First 2060 will share data with the Regional Community Institute (RCI), as they create a vision. Region First 2060 will implement efforts with RCI to ensure that the vision reflects the Guiding Principles and is considered as the Northeast Florida Strategic Regional Policy Plan is updated. Initiated through the Urban Land Institute (ULI), Reality Check First Coast and Region First 2060 is a partnership of the Regional Community Institute of Northeast Florida, Inc., the not-for-profit arm of the Northeast Florida Regional Council, ULI North Florida District Council, the Cornerstone Regional Development Partnership, UNF, St. Johns River Water Management District, North Florida TPO, Urban Land Institute of North Florida and The St. Johns River Alliance. 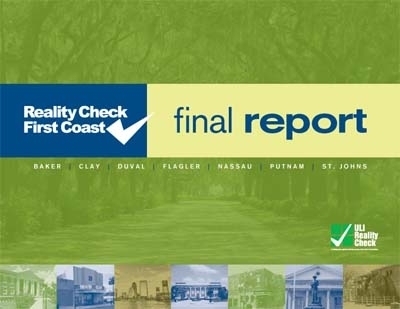 On May 21, 2009, 300 First Coast leaders from the non-government sector, business and government participated in a regional visioning exercise called Reality Check First Coast. They looked at current growth trends, considered their hopes and dreams for the First Coast Region, and used LEGO® bricks and yarn to build their vision for future growth for the next 50 years. Their visions fell into four general patterns. When the patterns they created were compared to the trend of how we have been growing, we learned something exciting. All of the patterns they created used far less land than what would be required to grow as we have been growing. All of the patterns placed people and jobs in all of the counties of the Region, allowing for a balance that could reduce commute times in the future. All of the patterns increased density in existing developed areas, which could lower costs for new infrastructure and make transit a viable option in the Region. Even though the visions were different, the bottom line is the same: Choosing how we grow has the potential to save us and future residents of the First Coast Region time and money, and we can plan our future to give more choices to ourselves, our children, and new residents and businesses. After Reality Check First Coast, the visioning exercise was repeated in each County as County Checks, and with young people only, as Generation Check. Ultimately, about 500 people participated. Each was asked to think about where to grow, what principles should guide our growth, what barriers would need to be overcome to realize a vision, and what solutions could work for our Region. The Regional Community Institute (RCI), a non-profit organization affiliated with the Northeast Florida Regional Council, is now building on the work of Reality Check First Coast, County Checks and Generation Check to create First Coast Vision. 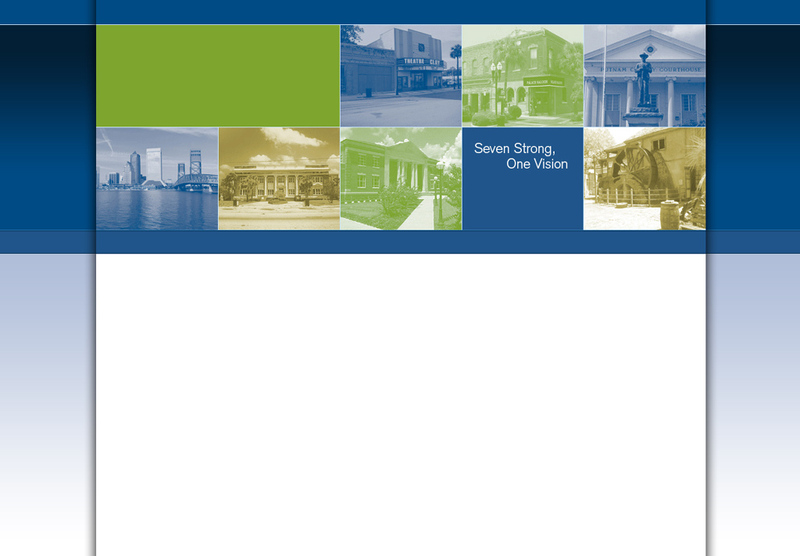 First Coast Vision is a vision for growth in the Northeast Florida Region for the next fifty years.